Weight loss is a common goal and difficult to accomplish alone. Below are six tips to consider as you embark on this difficult task. 1) PLAN: Establish your goals first and articulate why they are important to you. 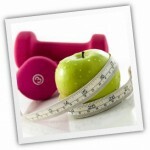 Set up a timeline and a plan for exercise and healthy eating. 2) MAINTAIN INTENSITY: Keep your pace consistent and exercise as hard as comfortably possible to optimize calories burned. Be careful not to start out too hard. Find a pace that works for you and build from there. 3) SWITCH IT UP: Use both aerobic (endurance) and anaerobic (sprints) training to optimize fat burning. 4) DOUBLE UP: Aim for a daily caloric deficit of 500-1000 through BOTH exercise and diet. This can be achieved by eating 250 calories less and burning 250 calories during exercise per day. Daily caloric intake should be no less than 1200 for women and 1800 for men. 5) LEARN FROM AN EXPERT: Hire a personal trainer and benefit from their knowledge while they motivate you. 6) JOIN A CLASS: Bootcamp and circuit training classes are a fun way to burn off calories.